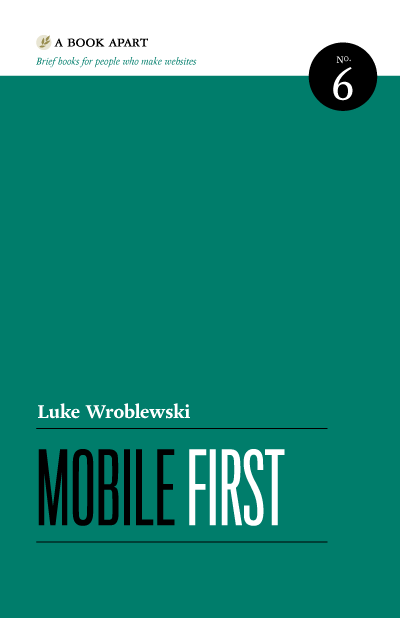 LukeW | Mobile First (the book) Now Available! Mobile First (the book) Now Available! Very excited to let you know that you can now purchase my new book Mobile First in paperback, PDF, ePub, and mobi formats from the fine folks at A Book Apart. Get the book now from A Book Apart.